After Mental Notes failed commercially, the band left for England to rework the tracks with Roxy Music's Phil Manzanera producing. 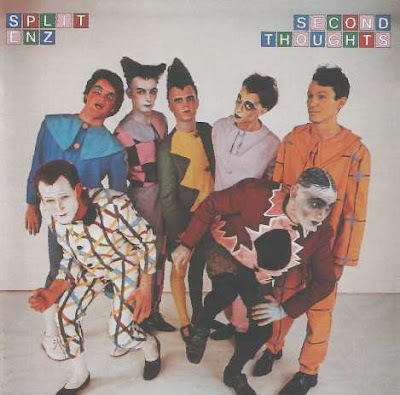 Second Thoughts is an eccentric album filled with the theatrics that gained the band its early notoriety. Mainly new versions of old songs, the album adds some new tracks such as the brilliant "Late Last Night" and "Woman Who Loves You." Released in America and the U.K. as Mental Notes with a modified cover. this second album from Phil Judd, Tim Finn and mates features superior re-recordings of half the tracks from their debut album plus a handful of gorgeous 'new' tracks. Confusingly, this album was originally repackaged and retitled "Mental Notes" by Chrysalis Records for the U.S. market. Remastered by Enz keyboard whiz Eddie Rayner. 2006.